Because we have received an unprecedented number of order enquiries for perennial kale cuttings following mentions on Radio 4 and in the Guardian / Observer we are working on a strategy so we can fulfil orders and try and meet all requests in the coming years. 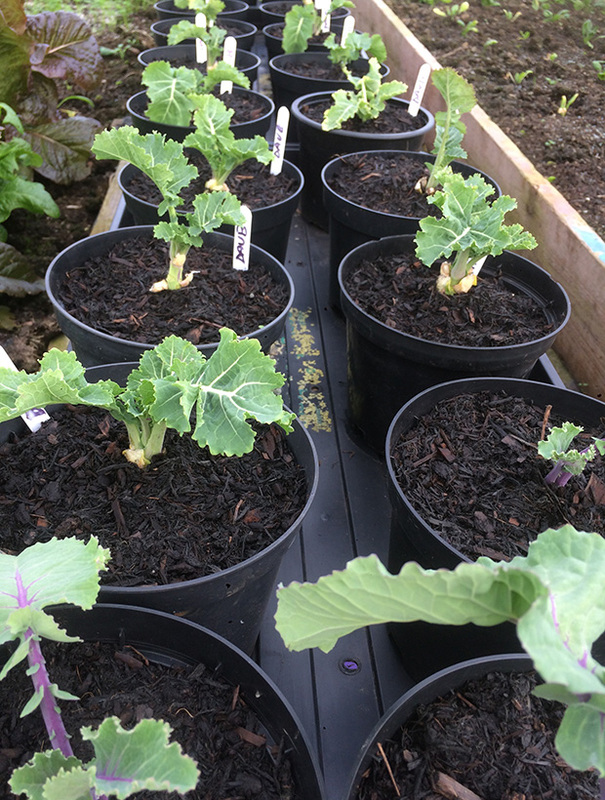 Basically we have Taunton Deane perennial kale stock plants growing which we make stem cuttings from. Because of the increase in the demand, we are busy propagating more stock plants so we will have more in the future to ensure a steady supply. We don’t want anyone to miss out! Taunton Deane perennial kale stem cuttings. These can be trimmed and potted up in deep pots and will root easily within a few weeks placed in a greenhouse or sheltered light place. Being an independent micro business we have limited resources so we thank you for your patience as this surge in interest has taken us a bit by surprise. Having said that we think it is absolutely brilliant that more and more people are being introduced to perennial vegetable plants and permaculture ideas. The perennial kale cuttings are worth the wait. Once you have a plant or two in your garden you will be able to propagate all your future plants yourself. Taunton Deane grows vigorously for about 5 years before slowing down and can reach 2m tall and up to 3m wide in some cases. You can trim them to keep them under control. They have delicious tender, nutty tasting leaves which can be harvested all year round. They have great resilience to pests too. They do occasionally flower but continue to grow even after flowering. One plant, when mature, is enough to feed a family of four pretty much all year round. Our waiting list for cuttings is temporarily closed while we fulfil existing orders: Due to the huge demand for this amazing and rare perennial kale our waiting list is temporarily closed. Please note we are not taking any more orders or requests to join our waiting list for these at the moment – this is so we can fulfil our current orders and replenish our stock to produce further high quality cuttings. We will have more available in the future and you are welcome to join our e-newsletter for updates and keep an eye on our shop too as they will be listed there when available. We have planted out lots more stock plants to supply future demand so please check in with us now and again. Thanks for your patience while we work hard in the field to bring you more. Mandy at info@incrediblevegetables.co.uk will be happy to help you with your enquiries. Perennial kale cuttings: These are thick stems with a growing tip taken from one of our stock plants which can be potted up and will root easily within a few weeks in a sheltered/light space. Currently Taunton Deane is the main variety we produce cuttings from, but we do have others in the pipeline which will be advertised when ready. Three types of perennial kales being propagated in the polytunnel.